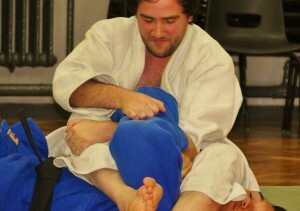 Neal began training traditional Jujitsu in 2000 at the age of 16 and soon after was guided towards Judo by his coach. Neal holds multiple coaching awards including a UKCC level 2 in coaching Judo and is an IMASA qualified Jujitsu instructor. He is also the head coach at Tekio Gemu Judo club based in Rowley Regis and has coached and volunteered at many midlands based Judo and Jujitsu clubs over the last 15 years. Neal’s career background in people management, policy and legislation enforcement has also been vital in developing the procedures and policies of Tekio Gemu. Robert boasts over 8 years experience in personal training and fitness along with a vast resume of high level sports and coaching qualifications including but not limited to; Active IQ level 2 Fitness Instructor, Active IQ level 2 Exercise To Music, Active IQ level 3 Advanced Personal Trainer, Sports Nutrition Certified, HIIT THE WALL Master Trainer, Active IQ Indoor Cycling Certified, Active IQ Circuit Training Certified, Gym Based Boxing Certified, Les Mills Body Pump Instructor, Les Mills Body Combat Instructor, Metafit Certified Instructor, First Aid Certified, Member of the Register of Exercise Professionals. 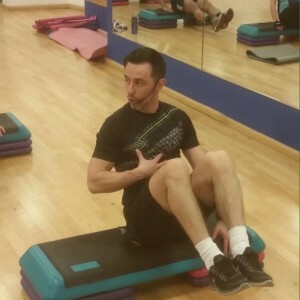 Robert specialises in High Intensity Interval Training, Weight loss and toning, sport nutrition and Gym based boxing. ‘With over 8 years experience in Personal Training, I can now say I have learnt the key components helping students reach there goals and beyond. You miss 100% of the shots you never take’. Jennie began dancing at the age of 3, taking grades in Ballet, Modern Jazz and Tap. She also attained high grades in both GCSE and A Level dance, finding her love of Contemporary dance at this time. She moved on to complete a BA (Hons) degree in Dance Studies with Choreography and Performance at Liverpool John Moore’s University. Once completing her degree she took a three-month professional training course at the Limón Institute in New York and loved taking company classes as well as being part of Limón inspire performances in Manhattan. Since 2011, after professional contracts as a parade dancer in Disneyland Paris, she has been working as a freelance dance artist in the West Midlands area working within education as well as performing arts and dance schools.